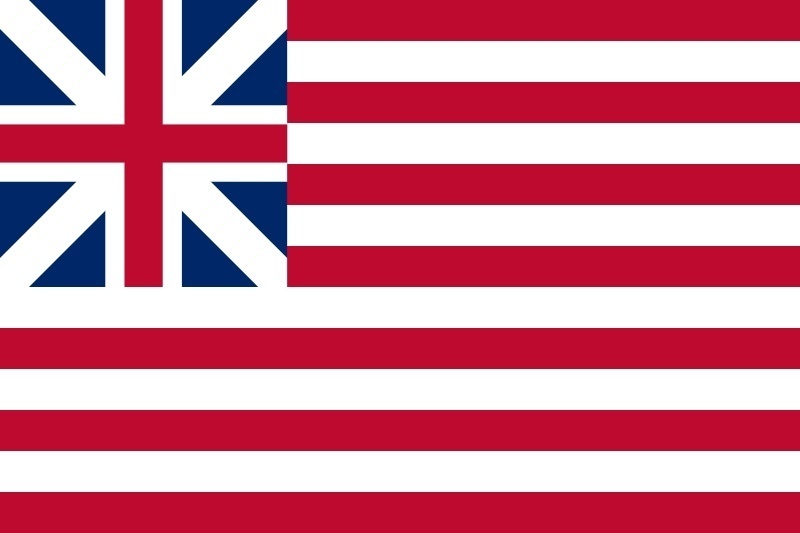 The Grand Union Flag was first flown on the US Navy's first flagship, the USS Alfred, on December 3, 1775 by her First Lieutenant, John Paul Jones. It was later raised by George Washington on Prospect Hill near his headquarters at Cambridge during the Siege of Boston. Historians are divided about who designed the flag or how it came to be adopted by the Continental Army and Navy as the first American flag. The Grand Union Flag consists of 13 alternating red and white stripes, with a British Union Jack in the canton (the upper left corner). It is also sometimes called the Continental Colors, the Continental Union Flag, the Cambridge Flag, the Congress Flag, the First Navy Ensign, the Somerville Flag, the Great Union Flag or simply, the Union Flag. It is a variation of the official flag of Great Britain, the British Red Ensign Flag. The British Red Ensign Flag was the official flag of Great Britain from 1707 to 1801 and was a red flag with the British Union Jack in the corner. The part of the flag in the upper left corner or canton, is called the "jack" because that part of the flag was flown from the jack-staff on the ship's bow so people on the ground could easily identify the ship when it was at port. Otherwise, the flag at the top of the mainmast was too high to see or was often obscured by all the rigging in the way. The Union Jack represented the union of England and Scotland into Great Britain. It was also called the King's Colors. Prior to their union in 1707, Scotland's flag was a St. Andrew's Cross, a white X on a blue field, while England's flag was a St. George's Cross, a red cross on a white field. The two flags were joined to form the Union. Later, when Ireland joined Great Britain, the Irish St. Patrick's Cross, a red X on a white field, was added to the Union, the same Union Jack we are familiar with today. As the official British flag, the British Red Ensign Flag was the first flag of the American colonies, since they were in fact British colonies. The Grand Union Flag was easy for the colonists to make. All they had to do was take an already existing British Red Ensign, which would have been easily obtainable as it was the official flag of the colonies, and sew 6 strips of white cloth to it. Some have wondered why the colonists would include the symbol of the British Union Jack on their flag if they were angry with Great Britain and wanted independence. This flag was first used around the fall of 1775, so the colonists had not yet declared independence. Indeed, many colonists still wanted to reconcile with Great Britain. They considered themselves British citizens and were loyal to the King. Many believed their protesting would eventually cause the King and Parliament to see the light and change their ways. In light of this, some historians say it is absolutely understandable why the colonists would use the King's Colors. They were British citizens and were expressing their loyalty to Great Britain. Historians seem to agree though, that by adding the white stripes, the colonists were saying that even though we are British and we are brothers, we are not going to have our rights violated. 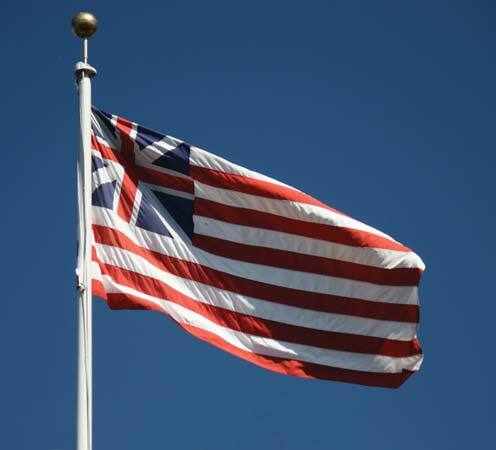 By including the Union Jack and including 13 stripes, the colonists were expressing two messages, loyalty to Great Britain and colonial unity and their willingness to resist. Other historians disagree with the idea that the Grand Union Flag had anything to do with an expression of loyalty to the Crown. 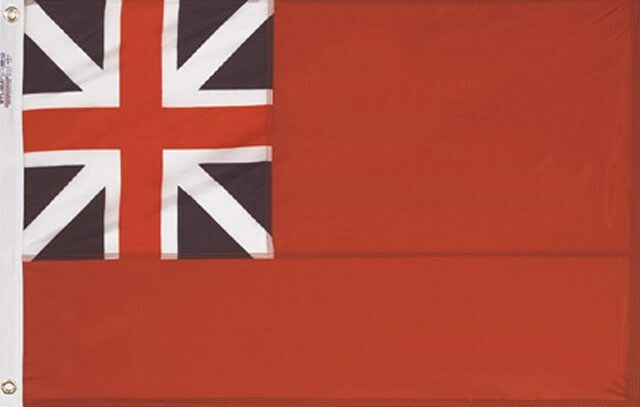 They point out that the British Red Ensign was an official navy flag and that's its use by anyone else was illegal! The colonists were expressly breaking the law by raising this flag, so the act should be looked at purely as an act of defiance and maybe even as a harbinger of their Declaration of Independence which was soon to come. When war broke out with Great Britain in 1775, the colonists realized they needed a new flag. The Grand Union Flag was first flown on the US Navy's first flagship, the USS Alfred on December 3, 1775. This is why it is sometimes called the "First Navy Ensign." (An ensign is a flag.) The first fleet of ships commissioned by the Second Continental Congress sailed from Philadelphia on the Delaware River. The Alfred's First Lieutenant, John Paul Jones, raised the Grand Union Flag aboard the Alfred, as well as the Gadsden Flag, which was the standard of the Navy's first Commodore, Esek Hopkins. The second known flying of the Grand Union Flag happened at the Siege of Boston on January 2, 1776. The Continental Army was reorganized under George Washington's command on January 1. The following day, General Washington had the Grand Union Flag hoisted on Prospect Hill near his headquarters at Cambridge. This is why the Grand Union Flag is sometimes called the Cambridge Flag (even though it was not flown at Cambridge, but at nearby Prospect Hill). The area is now called Somerville, so the flag is also sometimes called the Somerville Flag. Prospect Hill is the high point in the area, so the flag was hoisted here so it could be seen for miles around. Once a year, citizens in Boston commemorate Washington's raising the Grand Union Flag on Prospect Hill. Watch a short video of the 232nd raising of the flag at Prospect Hill here. When the flag was hoisted, it was misinterpreted by British observers as a sign of surrender from the colonists. The British loyalists had just received a copy of a speech by King George III offering leniency if the colonists would surrender, so the soldiers mistakenly believed the colonists had read it and surrendered. George Washington referred to this in a letter to Joseph Reed a few days later. This may have been part of the reason why it was ultimately decided that a new flag was needed and the Betsy Ross Flag was created in July. Read the George Washington letter to Joseph Reed of January 4, 1776 here. As the first commonly flown flag by the Continental Army and Navy, the Grand Union Flag was the flag of the united colonies on July 4, 1776 when they declared their independence from Great Britain and on September 9, 1776, when the name "United States" was chosen for the former British colonies. It remained the first American flag, though unofficial, of the United States until the Flag Resolution of 1777, which was passed on June 14, 1777, making the 13 star flag the official United States flag. The new 13 star flag replaced the British Union with "13 stars, white in a blue field, representing a new constellation." 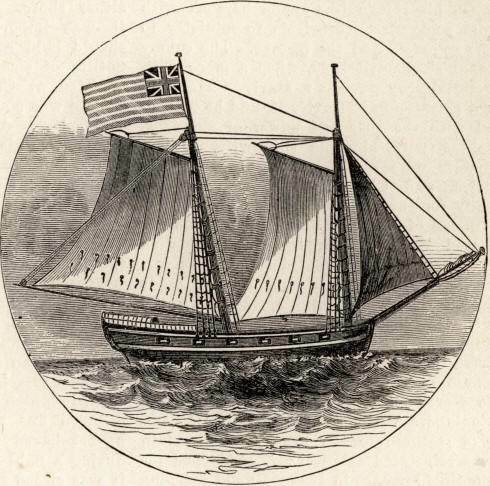 In the summer of 1776, the Grand Union Flag was apparently flown from the schooner Royal Savage, which was part of Benedict Arnold's Lake Champlain flotilla. The evidence is a watercolor found in the papers of General Philip Schuyler who was an officer in the campaign. The watercolor was signed by Schuyler and clearly shows the Grand Union Flag on the mainmast. The watercolor is not dated however, so it is possible that it was created at a later date from memory and the flag was one from the artist's more recent memory, rather than one actually flown from the ship. This is the only contemporary depiction showing what the Grand Union Flag really looked like. 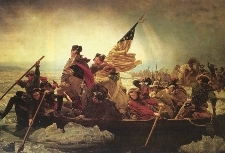 In the familiar painting Washington Crossing the Delaware by Emanuel Gottlieb Leutze, Washington's troops are shown carrying a 13 star Betsy Ross Flag as they cross the Delaware River to attack the Hessians at Trenton on December 25, 1776. If the Betsy Ross legend is true, the painting could be accurate, but many scholars doubt the truth of the Betsy Ross story. In actuality, most scholars believe Washington's men would have been carrying the Grand Union Flag. Read more about the Betsy Ross Flag controversy here. Who created the Grand Union Flag? Margaret Manny, a Philadelphia seamstress has received the credit from some historians. There is evidence that she created flags for the patriots' ships as early as 1774. There is documentary evidence of James Wharton, a Philadelphia merchant, supplying Margaret with material to create flags for the Alfred, with the bill being charged to the Alfred's account on December 2, 1775. This is probably when the Grand Union Flag hoisted by John Paul Jones was created. The flag was hoisted the following day, so either Margaret was a really fast seamstress or the material was given out earlier on credit before the bill was dated. This is the first time that we know of that the Grand Union Flag was used, so Margaret may have created the first Grand Union Flag. We cannot say for sure, but the timing looks right. 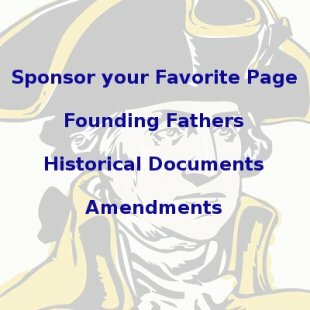 Benjamin Franklin, Thomas Lynch and Benjamin Harrison, all members of the Continental Congress were appointed to a committee to help George Washington establish the Continental Army in 1775. Some have suggested that the three men came up with the design, either in Philadelphia, or in Massachusetts when they went to Boston to observe the Continental Army's Siege of Boston. This is where the name the "Congress Flag" came from. Again, this is speculation. 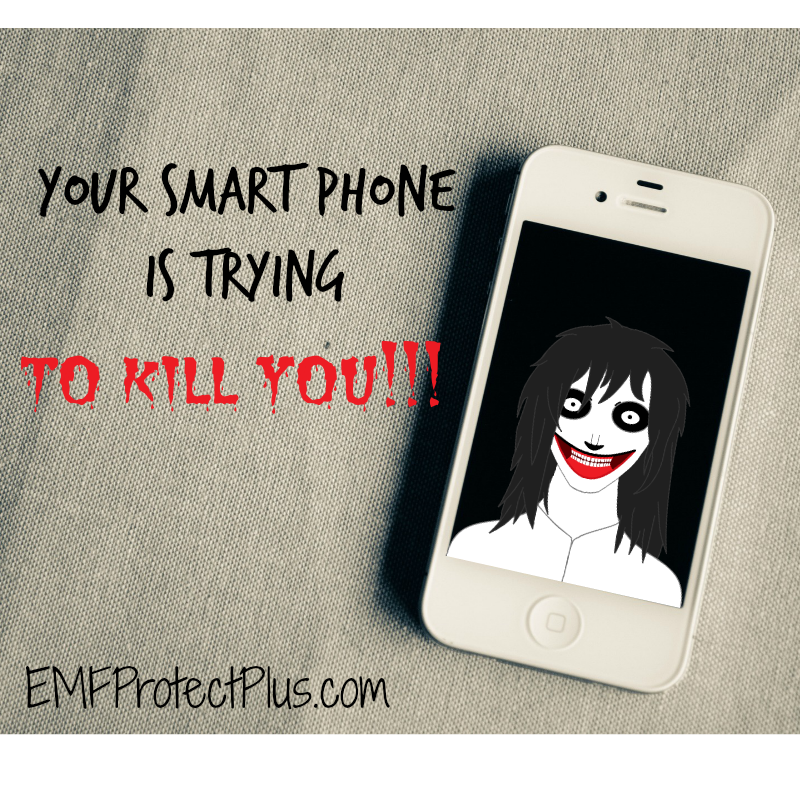 There is no definitive evidence, or any records of Congress, that would lead to this conclusion. George Washington, or one of his staff created the design. Although the flag was used in Philadelphia on the Alfred a month before Washington used it at Cambridge, it is possible that he had something to do with its creation before he left Philadelphia for Boston. One popular legend has George Washington approaching Philadelphia flagmaker Rebecca Young some time in 1775 and asking her to make the flag that became known as the Grand Union Flag. This story cannot be verified however and was probably merely a family tradition. The earliest written evidence does not show Rebecca making flags for the United States until 1781. 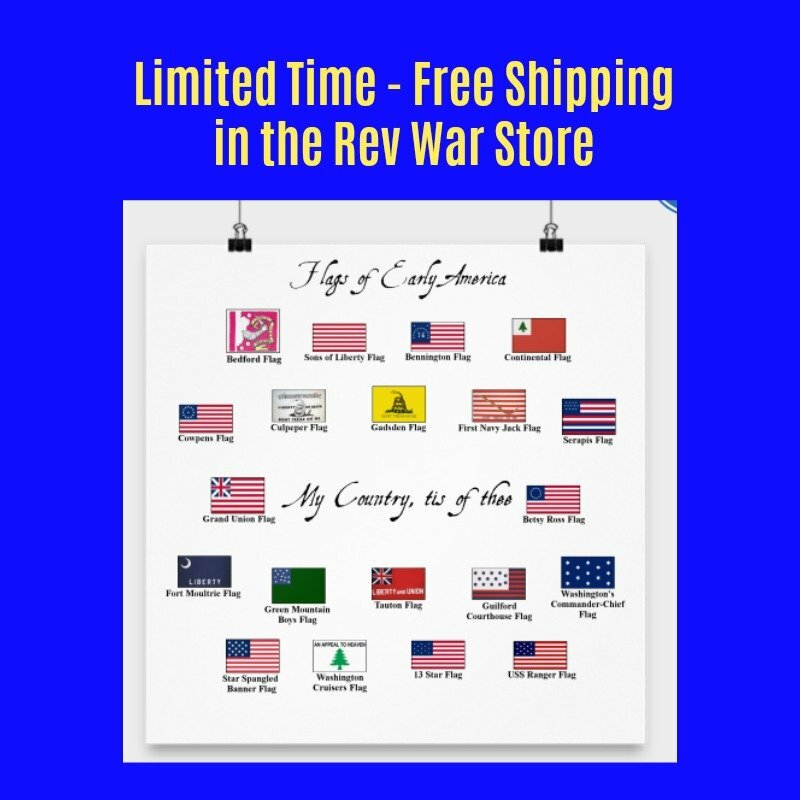 What can be proven is that her daughter, Mary Young Pickersgill, created the actual flag flown at Fort McHenry during the War of 1812 that Francis Scott Key observed when he wrote the Star Spangled Banner. This flag now hangs at the Smithsonian Institution in Washington DC and is known as the Star Spangled Banner. The Sons of Liberty Flag was a flag of 9 red and white vertical stripes flown by the Sons of Liberty in Boston from the Liberty Pole. The 9 stripes represented the 9 states that assembled at the Stamp Act Congress in 1765 to organize against the Stamp Act. Once the flag was outlawed, the colonists changed the orientation of the stripes to horizontal and, over time, it grew to 13 stripes for the 13 colonies. This flag was eventually used by many merchant ships from New England and became known as the Colonial Merchant Ensign. It would have been a simple matter for the colonists to add a British Union Jack in the canton of a Colonial Merchant Ensign to create the Grand Union Flag. The Sons of Liberty Flag was called the "Rebellious Stripes" by the British, so some have suggested it would have been in fitting with the colonial attitude for them to raise a version of the "Rebellious Stripes" as their official flag. The fact is that no one knows for sure who created the Grand Union Flag or who authorized its use. It is often considered to be the First American Flag because of its widespread use, but it was never officially chosen by Congress. There is some question about whether or not the Grand Union Flag was actually flown at Prospect Hill. Some scholars think it is more likely that the flag flown by Washington was a British Red Ensign Flag, the official British flag. Washington calls the flag the "Union Flag" himself in his January 4 letter to Joseph Reed. Was he referring to the Grand Union Flag or the British Red Ensign Flag with the Union in the corner? In the other letters that mention the flag flown at Prospect Hill, one anonymous letter dated January 2 says, "The grand union flag of thirteen stripes was raised on a height near Boston. The [British] regulars did not understand it; and as the king's speech had just been read, as they supposed, they thought the new flag was a token of submission." Notice that this letter calls the flag the "Grand Union" and says it had 13 stripes, but does not say what color the stripes were. The second letter was from a British merchant captain writing from Boston on January 17. He said, "I can see the rebels' camp very plain, whose colors, a little while ago, were entirely red; but on the receipt of the king's speech, which they burnt, they hoisted the union flag, which is here supposed to intimate the union of the provinces." So this letter indicates a flag that was red, probably the British Red Ensign, was replaced by the Union Flag, apparently meaning a striped flag. Again, there is no mention of the stripes' colors in this letter. This means there are ZERO contemporary accounts saying the flag had red and white stripes. There is evidence of some Continental Navy ships flying flags with red and green stripes. The USS Lexington flew a flag with red, white and blue stripes in 1776. The USS Reprisal flew 13 white and yellow stripes in July, 1776. In October, 1778 Benjamin Franklin and John Adams, who were America's representatives in Paris at the time, wrote a letter to the Ambassador of Sicily thanking him for the opening of Sicilian ports to American ships. They described the US flag as having red, white and blue stripes! Read the Franklin and Adams letter to Ambassador Domenico Caracciolo here. Either they had never seen the flag before and were speaking from memory (and got it wrong) from a description they had received from Congress, or the colors of the stripes were not yet determined. This fact also discredits the idea mentioned earlier that Franklin had something to do with creating the Grand Union Flag with red and white stripes. If that were the case, he would have had a very short memory to forget what color the stripes were after only three years. 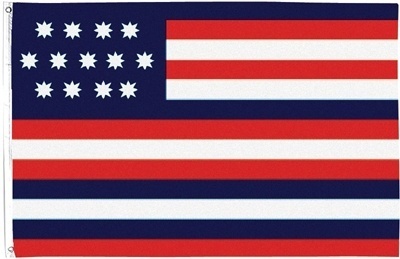 Ben Franklin gave a similar description for the US flag with red, white and blue stripes the following year in the John Paul Jones incident with the HMS Serapis. This flag became known as the Serapis Flag. All of these facts seem to indicate that the color of the stripes had not been definitely determined in 1775 at all. Instead, it is likely that the flag evolved over time from a plain British Red Ensign to one of various colored stripes, to one with red, white or blue stripes, to one with 7 red and 6 white stripes. The first salutes to an American Flag from foreign nations came when American ships in the West Indies were sailing under the Grand Union Flag, not the Stars and Stripes, which was not created until June 14, 1777. The first report came from Danish St. Croix in October, 1776, but it is not very well documented. 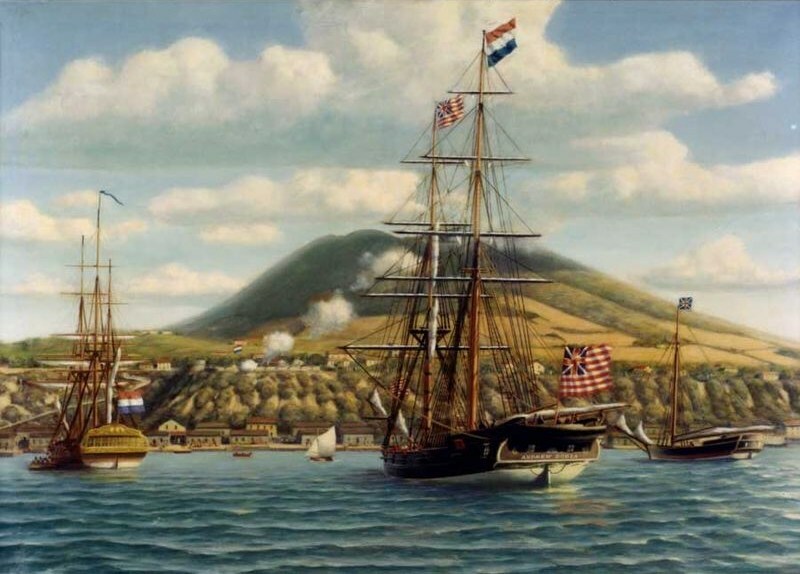 The second account happened at Dutch St. Eustatius on November 16, 1776. Since it is better documented it is usually viewed as the first salute to the American Flag. 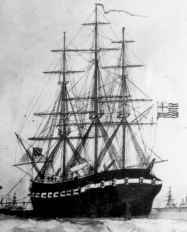 The USS Andrew Doria was on a mission to St. Eustatius to obtain military supplies and to deliver a copy of the Declaration of Independence to its governor, Johannes de Graaf. Isaiah Robinson, captain of the Andrew Doria, fired a salute from his guns when he approached Fort Orange. Governor de Graaf already knew of the Declaration of Independence, but was put in a dilemma. If he fired back the Fort's guns in a return salute, he would be acknowledging the United States as a sovereign nation, free from Great Britain. This would anger the British government that owned many nearby islands. After consulting with his advisors, Governor de Graaf decided to fire off the guns of Fort Orange in salute to the Andrew Doria. This was the first salute to the United States flag by a foreign government. The first salute by a foreign power to the Stars and Stripes did not come until February 14, 1778 when the USS Ranger and Captain John Paul Jones were saluted by the French fleet at Quiberon Bay, France. Order your very own Grand Union Flag here and help support this webiste with your purchase.